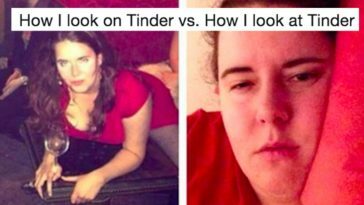 When you put yourself out there on dating websites and apps, it can be pretty terrifying. In dating and relationships, nothing hurts worse than rejection and with these kinds of apps, you’re bound to get burned at least once or twice. But, when you’re disrespected and insulted by someone on a dating app that you don’t even know – forget it, it’s embarrassing and wrong. Just ask Samantha, one Bumble user who experienced the rudest guy on Bumble altogether, Michael. Here’s Samantha, a complete and total beauty. And, here’s Michael, a complete and total d*ck. According to Samantha, the two had been chatting on the app a bit back and forth and had plans to meet up but, she wasn’t 100% sure if she wanted to because they hadn’t met before. 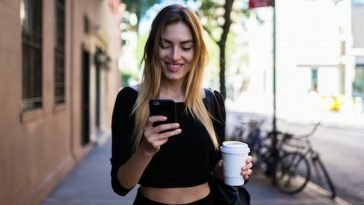 When you’re new to dating apps, they can be pretty scary seeing as it’s hard to know if you’re really talking to the actual person or someone else. One night, however, Michael sent Samantha a message that went a little something like this. Who the f*ck does this guy think he is? Seriously? Get out of here with that crap. If you’re that shallow and that much of a disrespectful idiot, you don’t deserve to go on a date with anyone. You need counseling, therapy, and a serious wakeup call if you think speaking to anyone like this is okay. GTFO. Samantha was right in saying “how f*cking dare you,” but she shouldn’t have said “I’m sorry,” because, it gets way worse. Michael had the balls to respond with a lengthy (and even worse) response than before. This guy is nowhere near a 10/10 with that mentality. He may think he’s good looking, but looks only get you so far in life, buddy. No one wants to date someone with that kind of attitude, you better reconsider your stance on women and life altogether. And, Samantha knew he would never get another date after women saw this, so she posted them on social media and reported him to the app. Good for you, girl. That’s the kind of response I hope to see from all dating apps/social media platforms when it comes to disrespect like this. Michael, apparently, had something to say for himself after all, too. “Firstly it’s important I say I have messaged Samantha and explained and apologised for the messages which I do not condone and find appalling. Me and my friends were highly intoxicated and decided to take each other’s phones and write messages to matches on each other’s bumble. They were mostly funny and harmless but in this case it was extremely rude, belittling and insulting. I had no control over those messages that were sent through my account and had I seen what was written, would absolutely have stopped them from being sent. That being said, it was an irresponsible position to put myself into and what we were doing was completely stupid and has resulted in a really sweet girl being disrespected by dumb actions. I’ve tried to imagine how she must’ve felt reading that and it’s sickening that someone should have to read something like that in the first place! Unfortunately, it’s happened and cannot be taken back. I have apologized to Sam personally and I will not be taking part in anything remotely as stupid as this again. Looks like it’s too little, too late, Michael, no one wants to go on a date with someone as misogynistic and rude as you, anyway. Enjoy life alone with your right hand, bro!